How was your evening? Have anything good for dinner? I did, well in that I-want-to-eat-like-I’m-5-again way. We had grown up pork and beans! Yeah, yeah, I know. How were they grown up? 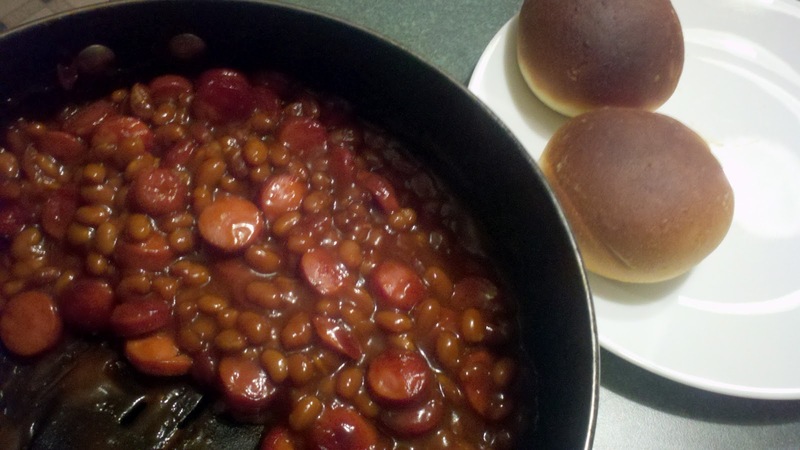 See, you use hot dogs instead of the “pork” pieces that they try to hide in with the beans. Er maybe they don’t have to try…it just works out that way. Tonight I have a few reminders for you. There are a few things that I would be pretty disappointed about if I let you forget about them. 1) Don’t forget to get your Surf SweetsOrganic Fruity Hearts for your Valentine. They are VERY yummy! 2) If you want more information about Surf Sweets – make sure you check out my review about them too. I’m telling you - it’s really good stuff! 3) There is also the Greenheart 20% off discount that is good until February 20th so please make sure you take advantage of that. And if you buy anything – please tell me about it! I love to see if you are enjoying the products that I tell you about here. Hopefully you are enjoying the blog, liking the products, and getting the chance to help someone (or something) with your purchases! Happy Wednesday!